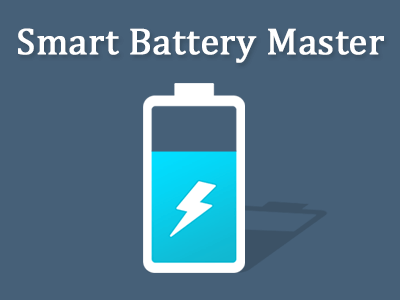 Smart Battery Master app provides best features to optimise and save the battery life of your phone or tablet. Whenever battery runs low or goes down too much then just tap the application to turn ON the saving mode instantly. • Option to manage screen timeout of device. • Change brightness of device by just tapping on the icon. • Provides notification when your device battery goes down. • Notification icon to show the battery level status in the status bar all the time. • Easy to use with intuitive design. • Switcher Widgets – Different styles of widgets that allow you to turn ON the app with single tap. • Provide info if device plugged via USB or wall mount charger. • Manual Power Options to disable wifi and bluetooth to save power. • Quick option to manage volume control, brightness and screen timeout of device. • Sound Off and mute the device. • Can adjust the battery saving setting freely depending on your need and usage. • Can adjust Wifi, Bluetooth, vibration, sound, device brightness, synchronisation and stand by time. • Easily customise all the modes depend on your usage to save battery as much as you need. • Display all the running apps with detailed memory, icon, update time, size. • Kill the running task for power optimisation and memory consumption. • Working as Memory Booster to boost the device usage.